Musicmesse, is the main European musical instrument industry trade show, held at the end of March every year in Frankfurt, Germany. It’s a massive event, and showcases every form of musical instrument. Pianos form a fairly small but important part of the show. Some new products are unveiled earlier in the year at the US NAMM show, but there is still a lot to discover here. This year Yamaha introduced the SX Series grand pianos to Europe. 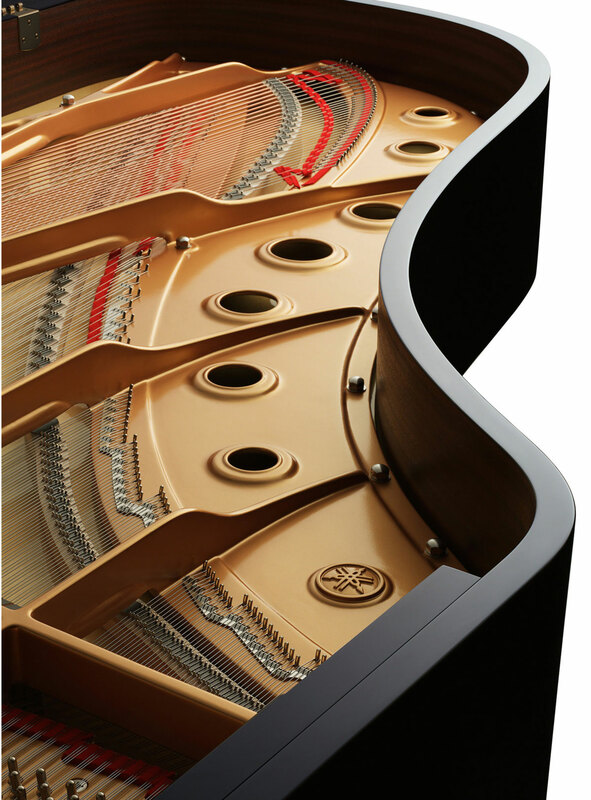 These premium instruments are an upgrade to the iconic S-Series pianos, and are the first to incorporate the company’s new Acoustic Resonance Enhancement technology. A.R.E. is a process for treating the wood used to construct the rims of the piano. The rims contribute considerably to the character of the instrument’s sound. Yamaha claim that this technology creates a warmer deeper and more expressive timbre with a beautifully sustained resonance. The process utilises precise control of humidity, temperature and humidity. A.R.E. induces the same chemical changes that occur when young wood ages, but without the use of actual chemicals. This technology was initially proven within Yamaha’s violin division. The Artida YVN500S was the first violin to utilise the A.R.E. process. It is also employed in the production of the A and L Series guitars. The SX Series also features a new type of hammer felt with enhanced elasticity. This facilitates a wider tonal spectrum when the technician is voicing the instrument. The S6X ($tbc) will appear at the end of the 2017.